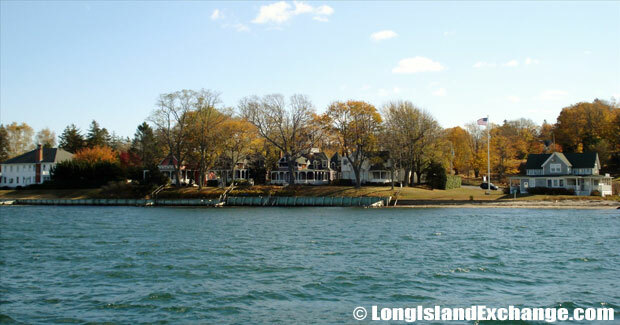 Shelter Island Heights is a hamlet and census-designated place located in Suffolk County, Long Island, New York. 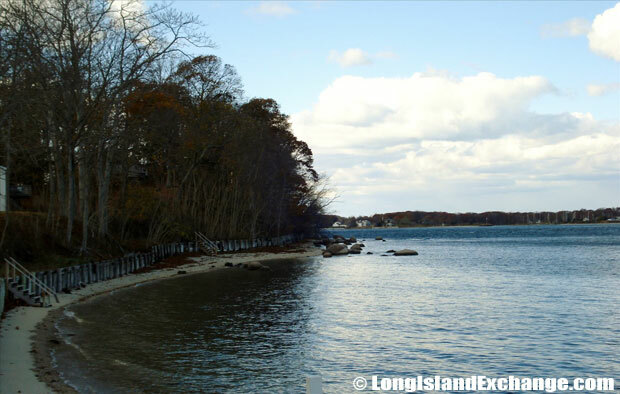 It is within the Town of Shelter Island. The neighborhood has a total area of 5.6 square miles of which, 5.4 square miles of it is land and 0.3 square miles of it is water. Shelter Island Heights encompasses the north side of the island of Shelter Island, and west of the village of Dering Harbor. As of the 2010 census, there were 1,048 people, 525 households, and 307 families residing in the CDP. The median income for a household in the CDP was $84,375, and the median income for a family was $ 101,278. Shelter Island Heights ZIP Code is 11965. Area Code is 631. The latitude of Shelter Island Heights is 41.083N. The longitude is -72.356W. It is in the Eastern Standard time zone. Elevation is 56 feet. A sign welcomes visitors and residents to Shelter Island Heights, a historic district listed in the Register of Historic Places. 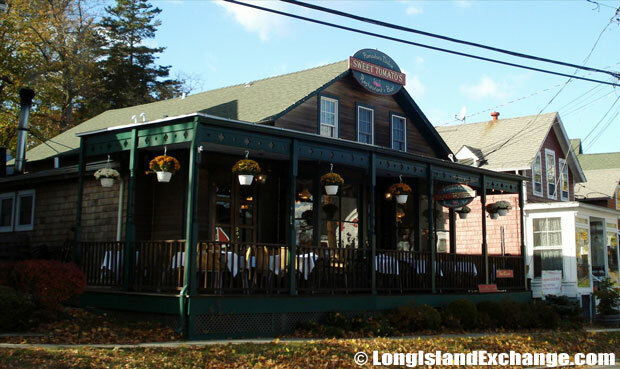 Shelter Island Heights Sweet Tomato Restaurant and Bar. 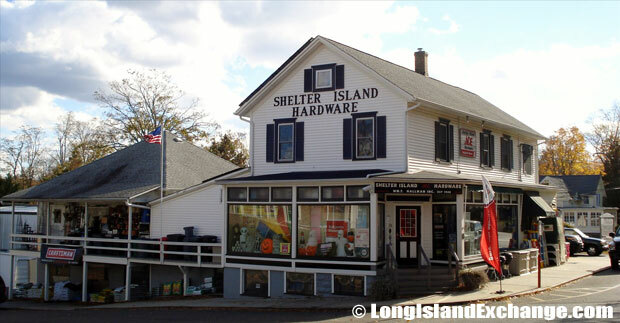 Shelter Island Hardware, Shelter Island Heights. 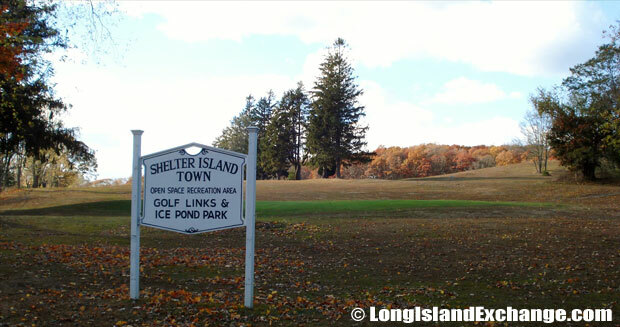 The Shelter Island Open Space Recreational Area, Golf Links and Ice Pond Park. In 1652, a sugar merchant from Barbados named Nathaniel Sylvester assumed sole title to Shelter Island and became its first white residents when it became a town and the island developed slowly. By mid-century, there were about 900 islanders farmed and made fertilizer from the mossbunker herring. The northwest corner of the island, eventually the Heights, was bought up in the early 19th century by Frederick Chase, who named his domain Prospect. Shelter Island Pilates, 8 Grand Avenue, Shelter Island Heights, NY 11965. 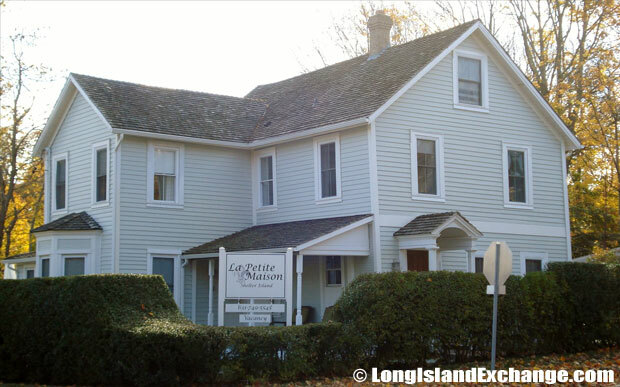 Shelter Island La Petite Maison, a small luxury bed & breakfast. Shelter Island Heights, Southold Bay. Later, a group of 24 Brooklyn clergymen and laymen, incorporated as the Shelter Island Grove and Camp Meeting Association of the Methodist Episcopal Church in 1871, bought the Chase acres on the condition that the two factories converting mossbunker herring to fertilizer, a most decidedly malodorous process is removed. 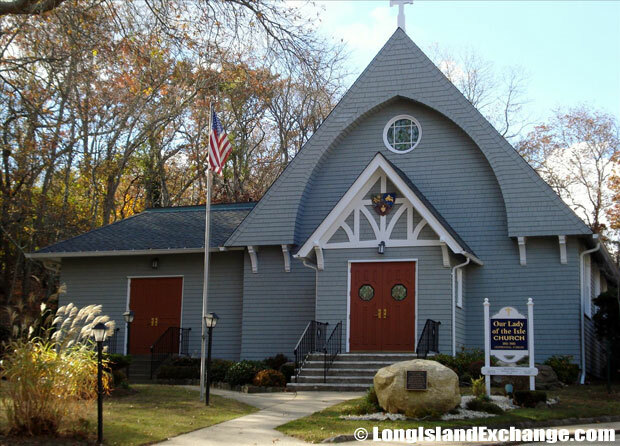 The camp meetings were moved to Jamesport after 8 years. 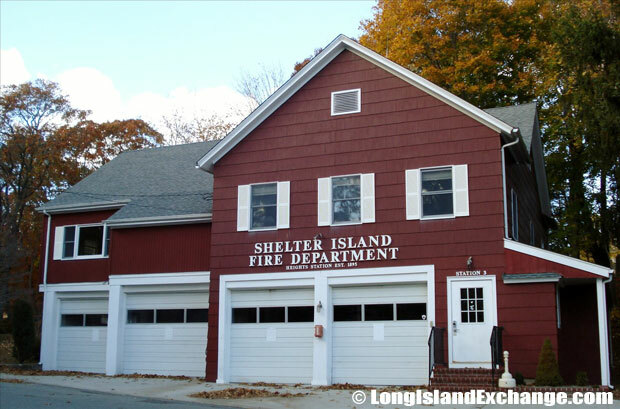 In recent time, the Shelter Island Heights Property Owners Association is committed and responsible in preserving the distinctive character of the community, its historic buildings, and its physical environment. The Pridwin Beach Hotel and Cottages , beachfront resort with simple rooms and cottages, tennis courts, a pool and fine dining. 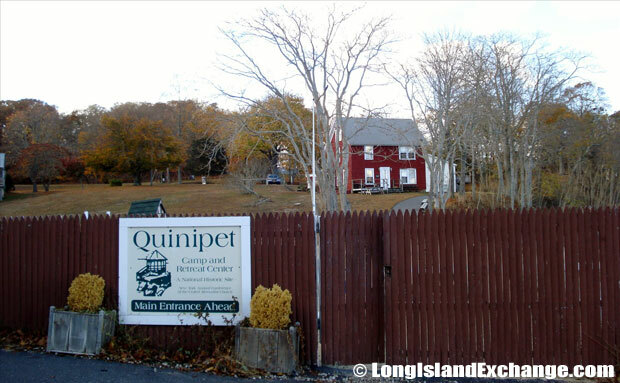 The Quinipet Camp and Retreat Center sits on 25 acres of Shelter Island. 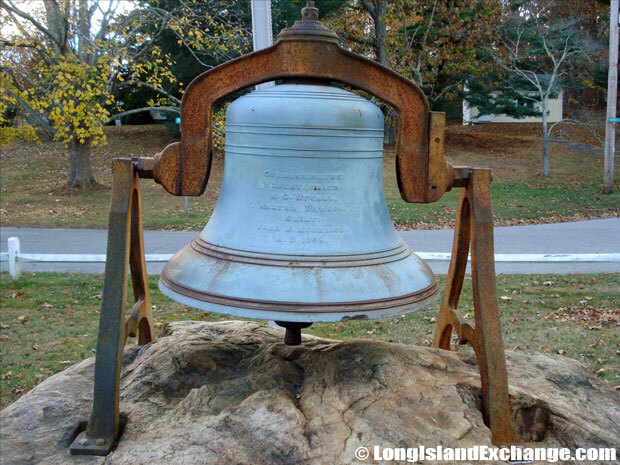 An old historic bell in Shelter Island Heights. The Shelter Island Heights Post Office on Grand Avenue. The racial-makeup of Shelter Island Heights comprises of 98.17% White, 0.31% African American, 0.41% Asian, and 1.12% from two or more races. Most of its resident’s ancestries were English, German, Irish, Italian, Polish, Scottish, Russian, French, Dutch, and Hungarian. 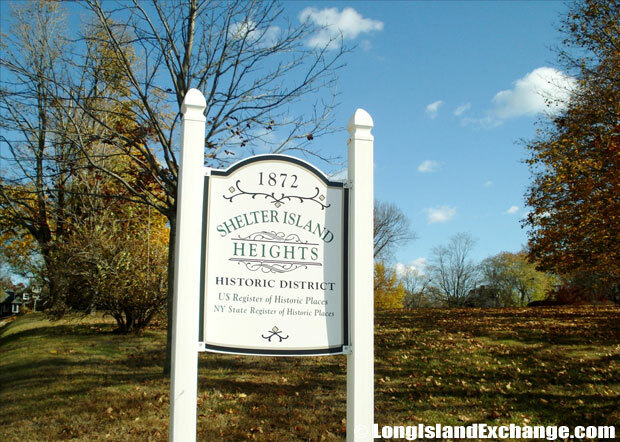 Shelter Island Heights is served by the Shelter Island Union Free School District with an enrollment of about 275 children, and class size averages of 22 pupils. There public schools spend at least $11,582 per student. The average school expenditure in the United States is $6,058. There are about 16 students per teacher in the area. 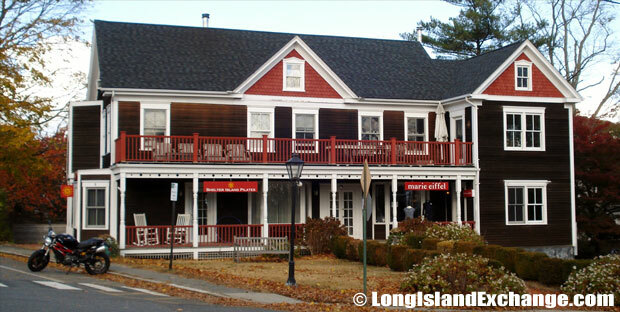 The Dering Harbor Inn, accommodations, cottages and grounds overlooking the picturesque harbor from which it takes its name. Our Lady of the Isle Church. The Heights is considered as a beautiful example of the picturesque, naturalistic landscape, and romantic rural residential areas created by the first generation of American landscape architects. 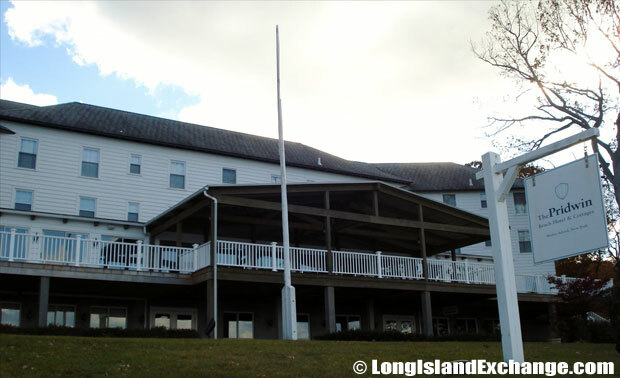 It is also among the few preserved communities that combined facilities for religious camp meetings with summer resort living close to New York and Connecticut.